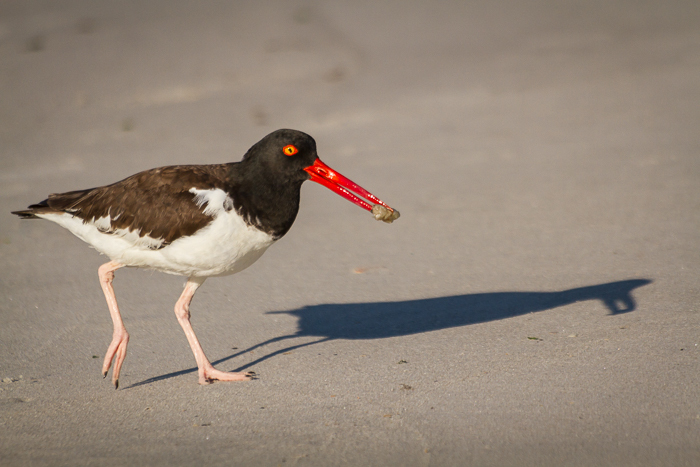 "Me And My Shadow"-An American oystercatcher returns from the ocean with food for its young. Just time for a quick post. Spent a marvelous recent morning photographing beach birds at Nickerson Beach Park on Long Island, NY. This is a fabulous little county park that has a large colony of nesting American oystercatchers, black skimmers, and common terns (among others). I got quite a few keepers from this trip, so I'll post more soon. In the meantime, enjoy! And get outside and enjoy! We are coming to the best part of the summer. Lots of young birds, the biting insects are dying down, the weather is getting more pleasant, and believe it or not, fall migration has already started for some birds. 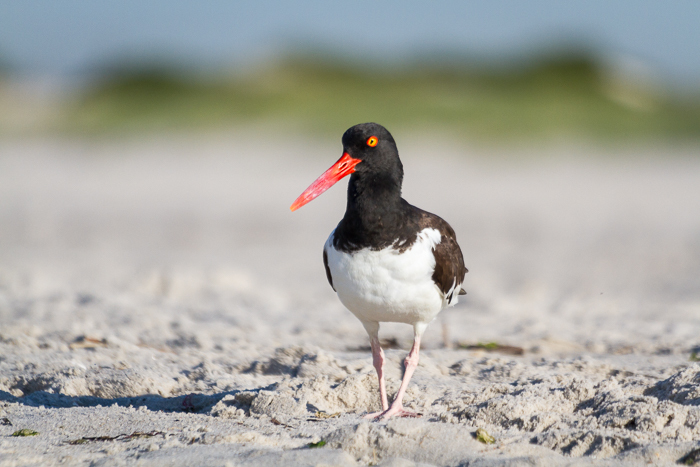 "Nickerson Oystercatcher"-An American oystercatcher walks down the beach in front of the dunes at Nickerson Beach Park. 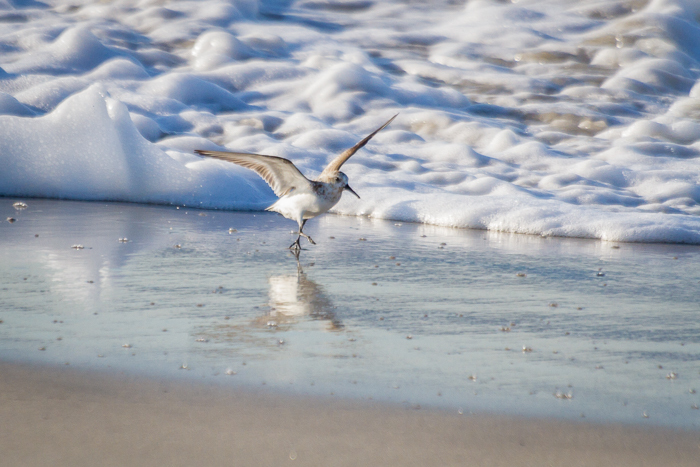 "Perfect Landing"-A sanderling lands just in front of the advancing foamy surf.